Day 2 of my 50 DIY Days! I thought today’s post would be a perfect follow up to yesterday’s Unicorn/Narwhal horn gift DIY (if you’d like to see how I made the horn… click here). 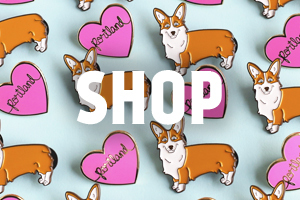 Giving a little treasure or jewelry as a gift this year? Well, you can’t just give a special gift in just any plain ‘ol gift box. It needs something special. A gold gift box. 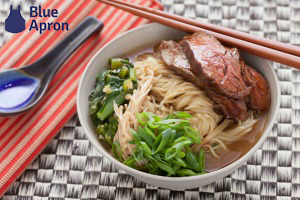 It’s seriously so quick, easy, and awesome. – In a well ventilated space (preferably outside), set up your spraying area. Split up the lid and bottom of your box. – Optional: Place a heart sticker on the lid of the box. Totally optional. If you do go this route, just peel off the heart sticker the next day, after spraying (when the paint is dry). 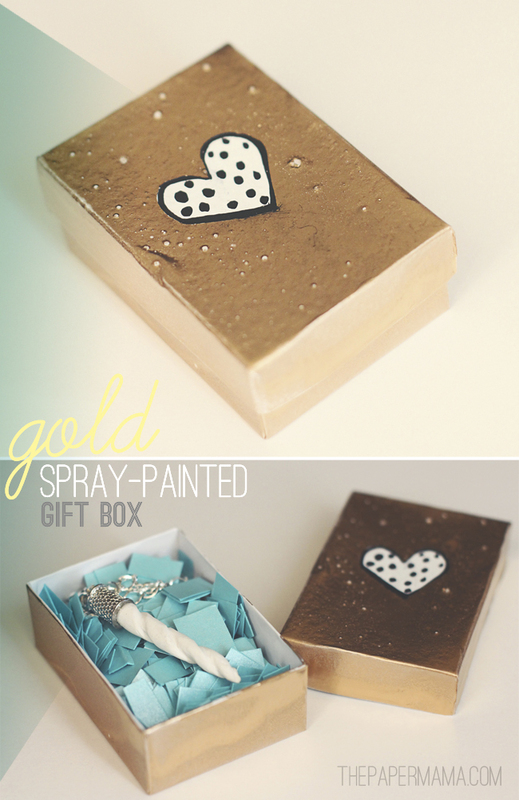 – Wearing a mask and goggles ::nerd alert:: (safety first), spray your gold paint onto your box. Note: there are a couple ways you can do this… you can follow the spray can directions for an even coat… or, get it all done in one coat. I got it all done at once. I sprayed closer than 6 – 8 inches and didn’t wait for the paint to dry ::whoops:: BUT, I wanted a few air bubbles and uneven gold paint. If you want even smooth paint… follow those directions. – Let the paint dry 24 hours (or whatever your spray paint directions say). 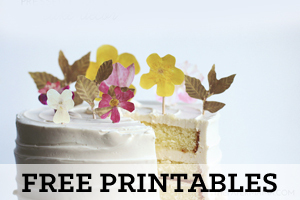 – Optional: cut up tiny pieces of a pretty piece of paper for a cushion. I used one sheet of a teal metallic. – You’re done! Time to share this magic with a friend – or loved one – or secret admirer? I love this!! 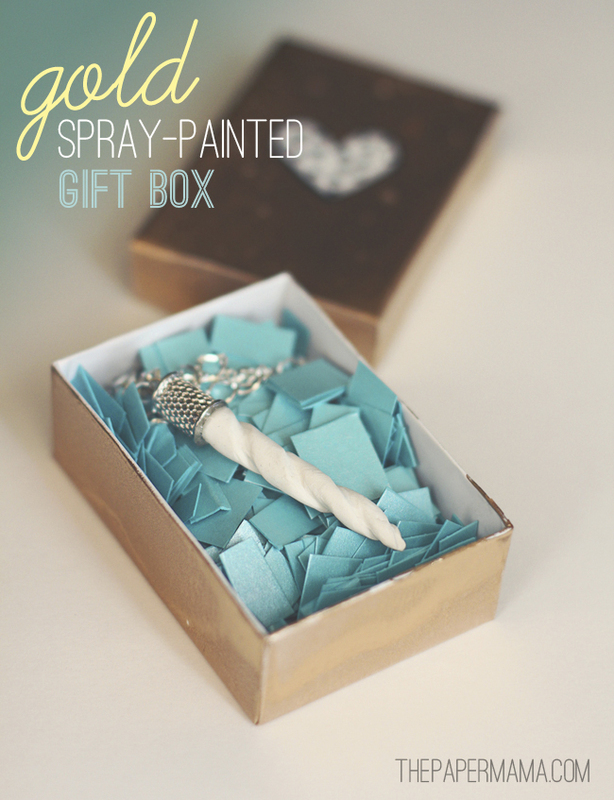 I have long loved spray painting gift boxes (or any boxes for that matter!) but I love the paper cushion inside. I am so doing that this year!! 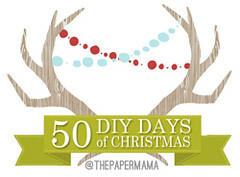 The 50 DIY days of Christmas is my new favorite thing to read!! Can't wait to see what tomorrow brings! I might even be able to get down with that! So easy, but pretty too!